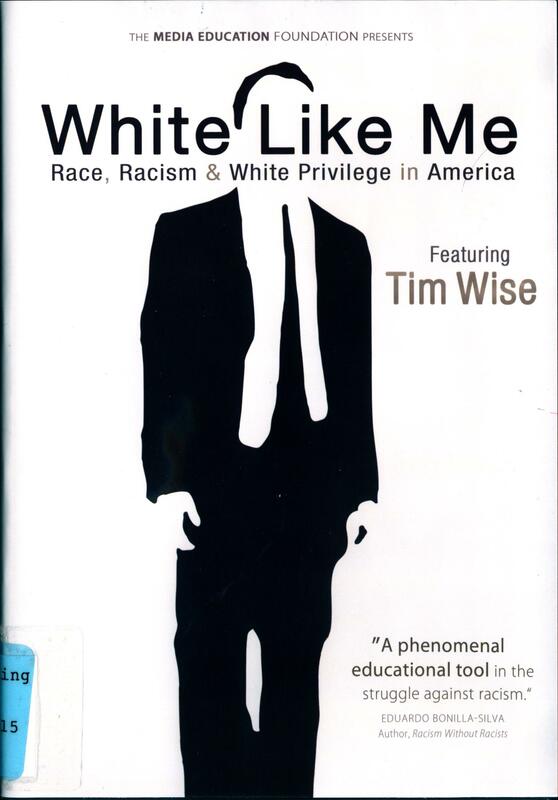 White Like Me: Race, Racism & White Privilege in America is a DVD based on the book White Like Me: Reflections on Race from a Privileged Son by Tim Wise (Main Collection, call number E185.615 .W565 2008), one of the DVDs co-writers. It explores race and racism in America as seen through the lens of white privilege. Is the American Dream is only for those of European descent? Are meritocracy and a post-racial society myths in our country? Does our failure to come to terms with white privilege perpetuate racial inequality in contemporary society? Watch this video to find out. Andersen Library also has other items, such as books and videos, on this topic. Most can be found by searching for white privilege and race and privilege. We also have five other books by Tim Wise in our collections, mostly on the broader topics of racism and race relations, which incorporate white privilege and related ideas. This entry was posted in new stuff tuesdays and tagged race, white privilege. Bookmark the permalink.